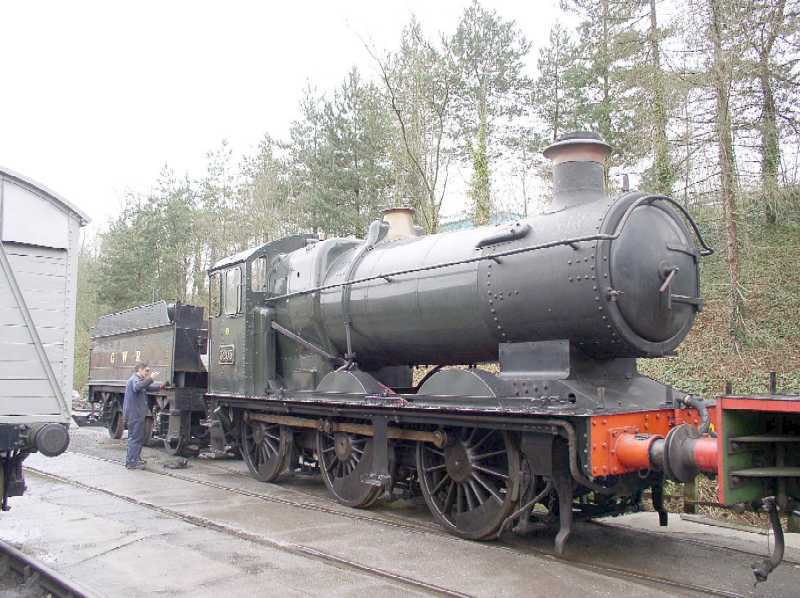 One of the first two engines that came to the South Devon Railway's Buckfastleigh-Totnes branch line when it first came under private ownership in 1965 has returned to the line today to be restored to working order. It arrived on two transporters late on Wednesday evening and was unloaded on Thursday morning after which the engine was reunited with its tender after the 120 mile journey from Toddington. The engine is the unique Great Western 0-6-0 tender engine number 3205. It is the only survivor of 120 locomotives built between 1930 and 1948 for light passenger and freight services. 3205 was first preserved in 1965 and has spent spells working on the Severn Valley Railway, West Somerset Railway and the Gloucestershire and Warwickshire Railway before moving back to Buckfastleigh. The engine will now be taken in to the South Devon Railway's works at Buckfastleigh where it will be treated to a £250,000 overhaul. The engine is expected to remain on the railway for at least the next ten years where it will be one of the most attractive engines for hauling the line's tourist trains.